The new Hyundai i20 automatic is about a Rs. 1 lakh more expensive than the manual, but is also the cheapest automatic hatchback in its segment. The 2018 Hyundai i20 CVT has been officially launched in India with prices starting at ₹ 7.04 lakh. The new automatic version will be available in two variants - Magna and Asta - with the latter priced at ₹ 8.16 lakh (ex-showroom, pan India). 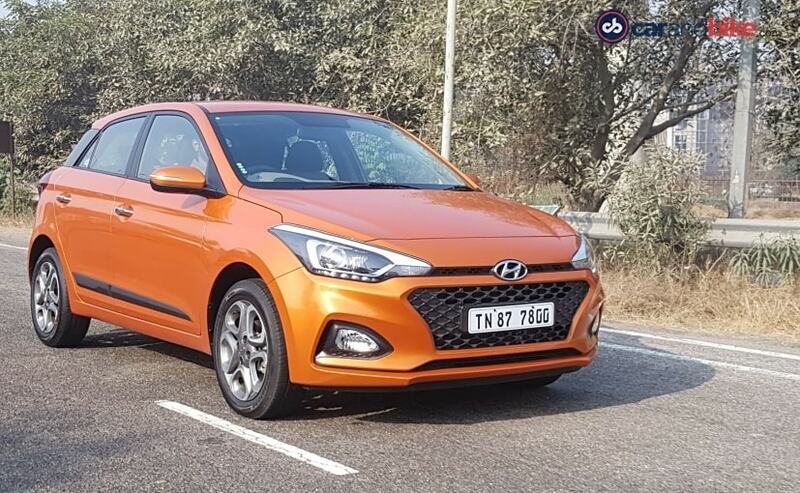 The new Hyundai i20 petrol CVT replaces the older 1.4-litre engine with a 4-speed torque converter, and has also received a price cut with the new version. Hyundai India has also managed to undercut rivals the Maruti Suzuki Baleno and Honda Jazz in terms of pricing with the new i20 automatic. The premium hatchback received a facelift earlier this year at the Auto Expo 2018 and the new petrol automatic variant comes with all the bells and whistles that you get on the manual version. 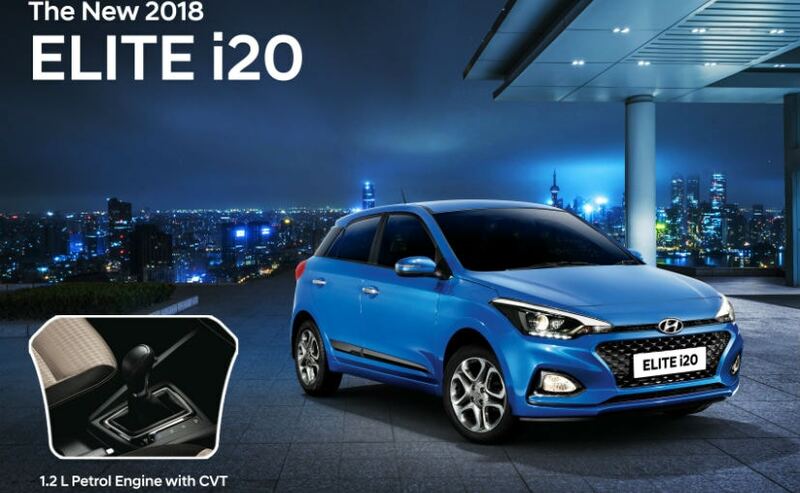 Speaking about the new i20 CVT, Hyundai India - Managing Director and CEO, Y K Koo said, " India's most loved and awarded, IndianCar of the Year 2015 winner ELITE i20 has been a global success ever since its launch. The CVT option with a 1.2 L Petrol engine coupled with Hi-tech & Convenience features offering uncompromised safety will make driving a brilliant experience. The head turner New 2018 ELITE i20 is the most feature loaded and affordable Premium Compact Segment car with a CVT option. Based on our advanced design philosophy, The New 2018 Elite i20 follows an evolved Premium look, Sporty styling and a strong road presence"
As per the Korean car maker, the premium compact hatchback segment is growing year-on-year from 4.5 per cent in sales in 2014 to 13 per cent in 2017. Sales of automatic variants in this segment have grown from four per cent in 2014 to 14 percent in 2018. The 2018 Hyundai i20 petrol automatic aims to tap into this niche space that has limited options for now. The continuously variable transmission (CVT) is paired with the 1.2-litre four-cylinder petrol engine on the 2018 i20 that is tuned for 83 bhp. The automaker promises a convenient drive with the automatic variant, without any gearshift jerks. Based on the 2018 Hyundai i20 facelift, the CVT variants sport all the upgrades including the new cascading grille, revised bumper, smoked headlamps. The Asta trims get the diamond cut alloy wheels, while changes also include the new LED taillights and a dual-tone bumper. Inside, the 2018 Hyundai i20 automatic comes with a new 7-inch touchscreen infotainment system with Apple CarPlay and Android Auto, rear armrest, Arkamys premium sound system and more. The i20 automatic gets dual airbags, abs and EBD as standard on both trims. Bookings for the i20 CVT opened earlier this month at dealerships while deliveries are set to begin towards the end of this month. The new i20 automatic is about ₹ 1 lakh more expensive than its petrol manual counterparts.